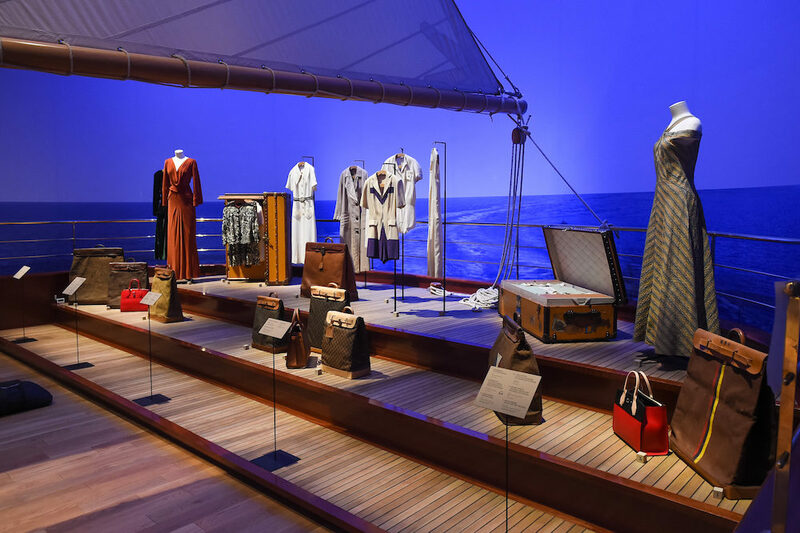 The Louis Vuitton exhibition, “Volez, Voguez, Voyagez – Louis Vuitton” installed inside the old American Stock Exchange building in New York City presents an absolutely stellar use of archival material. Leather lined exhibition cases with tiny brass tacks. Venetian glass chandeliers. Wooden vitrines holding archival documents in sultry-lit environments. The LVMH family tree elegantly silk screened on wood panels. It made me pine for limitless budgets to create installations for every archival collection on which I’ve worked over the years. Imagine… with no expense spared. The installation is tailor-made for a multitude of Instagram moments thanks in addition to an app that is free for download. What better way to market a brand than invite the general public to saunter in and begin snapping away within gorgeous back drops seamlessly perfected for social media documentation. I succumbed to pulling my own camera out in the room designed as a train car, with vintage film footage scrolling by each car window. Honestly, at that point, this archivist nearly passed out from overload. 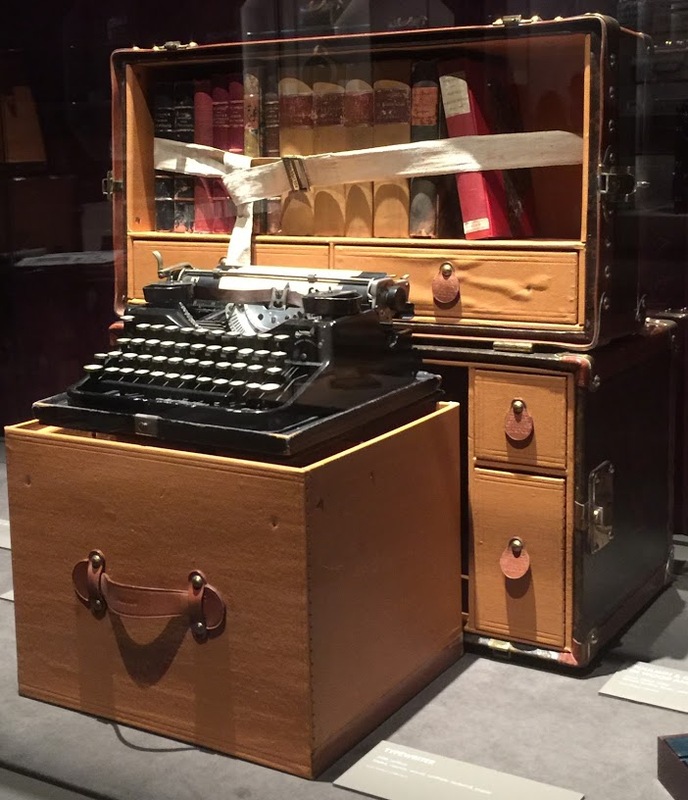 In the next gallery titled “Heures d’Absence,” a stunning trunk designed to transport a manual typewriter, stationery and writing implements is on view. There is a room dedicated to smaller baubles, including fragrance bottles… a counterpoint to the expansive gallery designed like that of a yacht deck, appearing as if conjured up by theater artist Robert Wilson. The eye is constantly being lured into the next LVMH landscape. The entire exhibition leads visitors through the history of the LVMH House — from 1854 to the present — as a thematic journey, exquisitely expressed in designer Robert Carsen’s dynamic scenography. 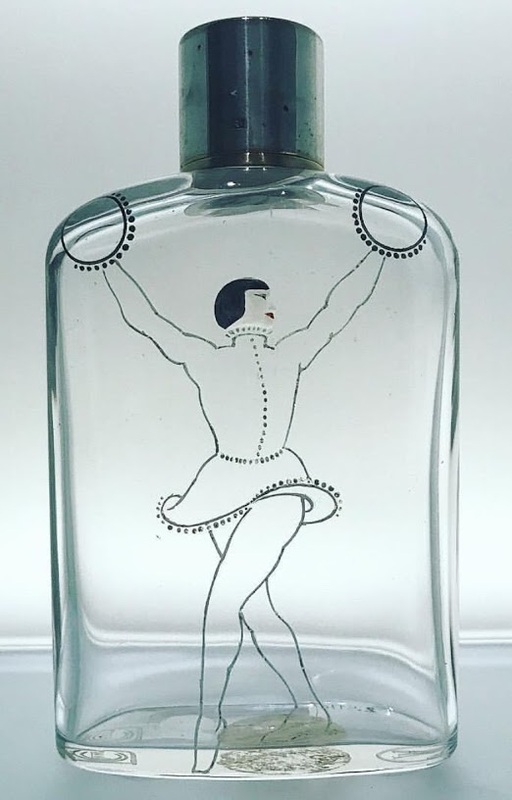 I started thinking about legacy brand archival collections about seven years ago, after having the opportunity to work extensively with packaging designs of perfume bottles, circa 1920s, in a corporate archives. It dawned on me that, in the right hands, and with an extraordinary and creative eye, a brand’s own backstory could easily be brought to life in a powerfully alluring way, enticing the viewer to embed his or her own story within the arc of the brand’s history. Well, here you have it — in aces. I would love to hear your thoughts after jumping far down into the rabbit hole of “Volez, Voguez, Voyagez.” And if you need virtual assistance as you tumble deeper, download the app before entering. Bon voyage! Louis Vuitton presents “Volez, Voguez, Voyagez – Louis Vuitton” at the American Stock Exchange Building in New York City through January 7th, 2018. Janine, your description brought the LVMH experience back as a fragrance brings back a summer afternoon. Yes, I think you are on to something, maybe a business venture. An Archived Product History or Company History as the most subtle draw into contemplating the product or company and admitting it into one’s self, so to speak, My resistance to commercial promotion was quickly disabled too, and mine is formidable. I happily drifted into this exquisitely designed infomercial, that really did have a lot to offer on the history of style, a topic that fascinates me on its own, allowing myself deeply to inhale all the content. Will you pursue this kind of thing? Thanks Tommy. This really made a strong impression on me… obviously. There are a few firms out there who exclusively handle preserving and documenting company histories. As for me, I’ve always savored the visual potential of every collection on which I’ve worked, and love sharing that with each client who has curiosity in seeing their history/back story from a new perspective. Legacy brand archives, I believe, are an untapped trove — but some, like LVMH, truly know how to work it!